For those of us living in the northern hemisphere one of the great annual events of nature is winding down. This is the autumn migration of numerous species from summer breeding grounds to wintering areas farther south. Even to the most casual observers of nature, it is apparent that migration is a conspicuous behavior for many organisms. Great whales moving along our coasts attract watchers to excursion vessels and promontories on our coasts; echelons of ducks, geese, and swans fly in V-formations to marshes and estuaries; and in North America millions of bright orange monarch butterflies inspire awe with their migrations to wintering sites in the mountains of central Mexico and the coast of California. Equally apparent, to the dismay of agriculture the world over, are the migrations of insects like locusts and armyworm moths that can cause enormous crop losses, even to the extent of stripping fields of ‘any green thing’ in the words of the Book of Exodus. What is not so appreciated, however, are the numerous tiny insects, mites, and spiderlings that also migrate. On spring and summer evenings at temperate latitudes the air to considerable heights is often filled with aphids and ballooning spiders that with the aid of selected winds can migrate for hundreds or even thousands of kilometers. From the tiniest to the largest of organisms migration can play a crucial role in the life cycle, allowing the exploitation of resources that can be distant in both space and time. New methods reveal just how dramatic some migrations can be. Geolocators no larger than a fingernail attached to godwits have shown that these shorebirds departing Alaska in the autumn fly nonstop to their nonbreeding areas in Australia and New Zealand. Radio transmitters attached to European storks communicate with orbiting satellites and show that the tracks of birds migrating from eastern Europe to eastern and southern Africa often wander widely even as far Nigeria before heading back eastward to the wintering areas. Radar tracking of migrating moths demonstrates that these insects possess highly sophisticated navigation systems that allow them to select winds of seasonally appropriate directions to assist them on their passage. Winds are a major factor in migratory performance from tiny aphids to large raptorial birds like vultures and eagles. 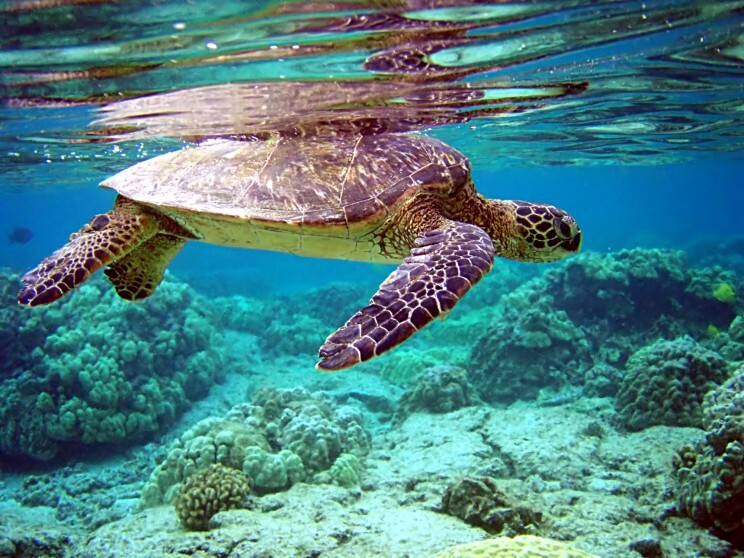 In the ocean and tidal estuaries currents assist the migrations of marine denizens from crab larvae returning to salt marshes to become breeding adults to sea turtles returning to nesting beaches from remote reaches of the open ocean. Migration for an individual is a ‘complete package’ of physiology, behavior, and ecology. Important defining behavioral characteristics include specific arrival and departure tactics and the refusal to stop even in favorable habitats until the migration program is complete. This is as true of the one-way migration flights of aphids as it is of the nearly pole to pole round-trips of arctic terns. In the words of David Quammen migrants “are flat-out just gonna get there.” The program or syndrome includes specific modifications of metabolic physiology like enhanced fat storage to fuel transit, and of sensory systems to detect inputs from the sun, stars, and magnetic field lines that indicate compass direction. Intimately involved in the latter are daily and yearly biological clocks – daily to time the movements of sun or stars and yearly to time the seasons. The pathway followed, whether round-trip in long-lived organisms or one-way in the short-lived is an outcome of the syndrome of migratory behavior and physiology and is part of the ecology that provides the natural selection acting to determine the evolution of migration. The whole performance has been likened to a marathon, but as Chris Guglielmo of the University of Western Ontario points out, the modifications of performance required make migration more akin to a trip to the moon than a marathon. Migration syndromes ensure that a huge number and biomass of migrants move over the surface of the earth and impact ecosystems in a variety of ways many little appreciated. We are aware of the impacts of migrant pests on agriculture enhanced by our predilection to plant monocultures of ruderal crops that provide optimal habitats for these invaders. We are less aware of the benefits provided by migrants. Migrant birds and bats consume enormous quantities of insects, and it is hard to imagine what our world would like without this consumption. Many migrants transport energy and nutrients from one ecosystem to another. Salmon, for example, carry nutrients from the ocean thousands of kilometers inland where they fertilize both fresh waters and neighboring terrestrial environments via the predators and scavengers that feed on them. Not long ago salmon provided us with abundant cheap and healthy protein (the ‘poverty steak’ of the Great Depression), but we have now so dammed and polluted their freshwater rivers that current migrations are either extinct or shadows of their former abundance. Overall we have not treated migrants particularly well, and one wonders what a future of continued human population growth, overexploitation of our resources, and the consequences of a changing climate have in store for them. Migrants are a wonder, a resource, and an inspiration impacting humanity over most of the globe. They deserve our attention and protection. Featured Image: Butterfly migration. Photo by Hillebrand Steve, U.S. Fish and Wildlife Service. Public Domain. Hugh Dingle is Professor Emeritus of Entomology and the Center for Population Biology at the University of California, Davis where he was a Director of the Animal Behavior Graduate Group. 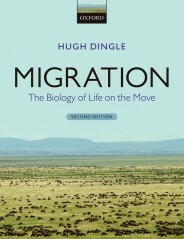 He is the author of the second edition of Migration: The Biology of Life on the Move.